We are offering Acrylic Balls. 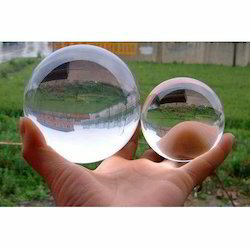 we are offering Acrylic Plastic Balls (Polymethyl-Methacrylate or PMMA) to our customer which is an amorphous thermoplastic which is optically transparent, unaffected by moisture, and offers a high strength-to-weight ratio. Common trade names of acrylic include Plexiglas, Lucite, and Acrylite. Looking for Acrylic Balls ?